Government Authority located in Missouri; USA based organization looking for expert vendor for enrollment and eligibility services, FSA/Section 125 administration, COBRA Administration and dependent audit services. (1) Vendor needs to provide enrollment and eligibility services, FSA/Section 125 administration, COBRA Administration and dependent audit services. - Member Call Center Services for members, SLPS representatives, and vendors, including enrollment support and assistance, coverage verification, answer questions, resolve problems, and related reporting and documentation, the member call center acts as a resource for members with benefit related inquiries, such as enrollment, coverage eligibility, premium cost, who to contact at the specific benefit vendor. 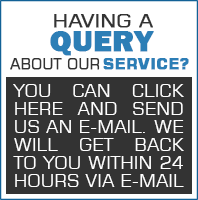 maintain on-line inquiries, and related reporting and documentation. - Produce and distribute employee and COBRA participant billing statements and collect payments from employee and COBRA participants. - COBRA and HIPAA administration services. - Flexible Spending Account administration services for health care and dependent care accounts and other benefits selections. - Company must maintain a local and/or toll-free call center phone number available for use by SLPS employees and dependents participants for questions, inquiries, and enrollment activities. (3) A bidder’s conference call will be held on April 05, 2019. You can either pay for Single RFP/Bid document or Subscribe with Monthly Subscription for whole	Medical Billing and Coding, Auditing, Finance and Accounting, Call Center and Answering	Category/Categories. If you will obtain monthly subscription for Medical Billing and Coding, Auditing, Finance and Accounting, Call Center and Answeringcategory/categories, you will be able to access all the RFPs from that Category. Here are the Monthly Subscription offers. So, subscribe for Monthly offers and get rid of Individual RFP payment.